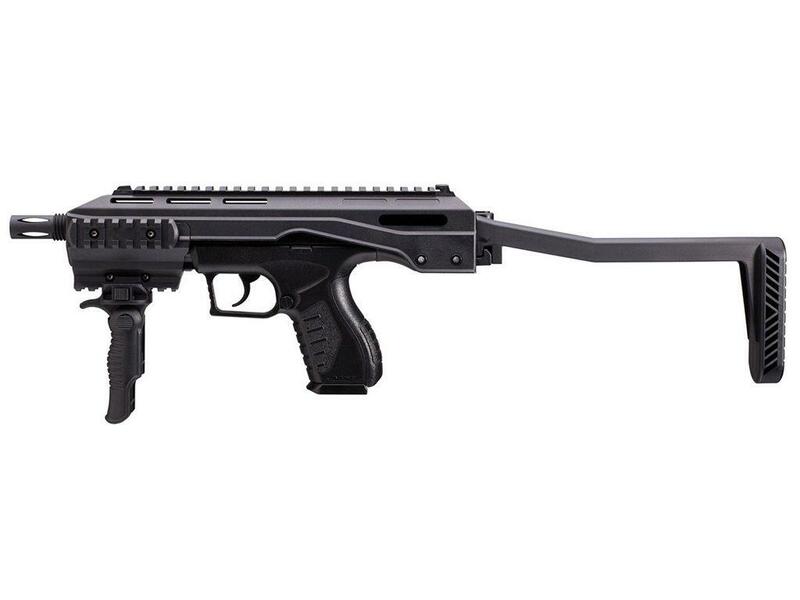 Buy Cheap Umarex 2254824 Tactical Adjustable Carbine CO2 Pistol|ReplicaAirguns.ca | Easter Weekend Sale! Trigger Pull: The trigger pull on both the Umarex XBG and TDP 45 is medium to heavy but since it is a double action only trigger, this is to be expected. There is a fair amount of take up with the entire pull being about 8-9 pounds with the release point happening right at the very back of the pull, you get a bit of a clicking sound warning right before it releases. 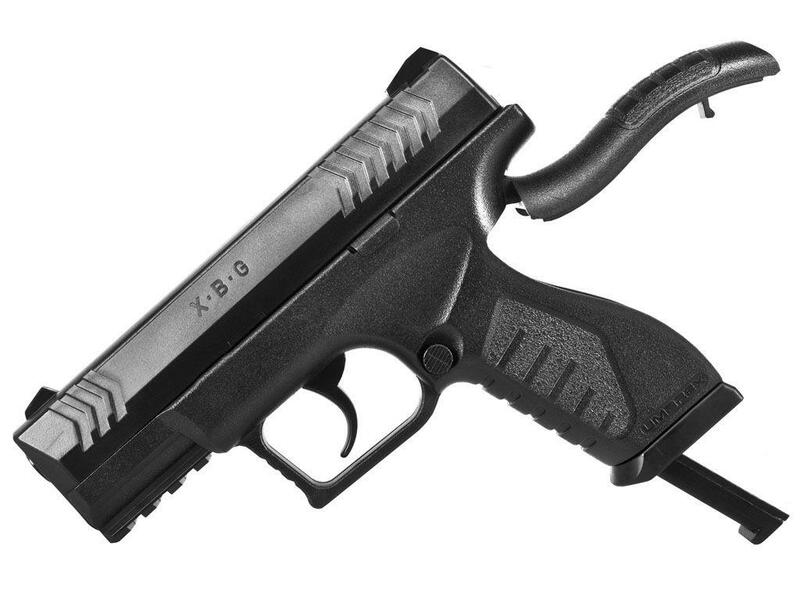 If you are used to shooting other lower priced double action triggers where the barrel protrudes out of the front of the gun when you pull the trigger then you will know what to expect with these two guns as they are setup pretty much exactly the same. Accuracy: This part of the review is yet to be determined as I have not done my Field Test or Shooting tests for these guns. I will put a link in here when I have done my official Field Shooting Test. For now all I can go on is some feedback from others which generally claim that these Umarex CO2 BB Pistols get good all-around shots per CO2, Accuracy and FPS performance. 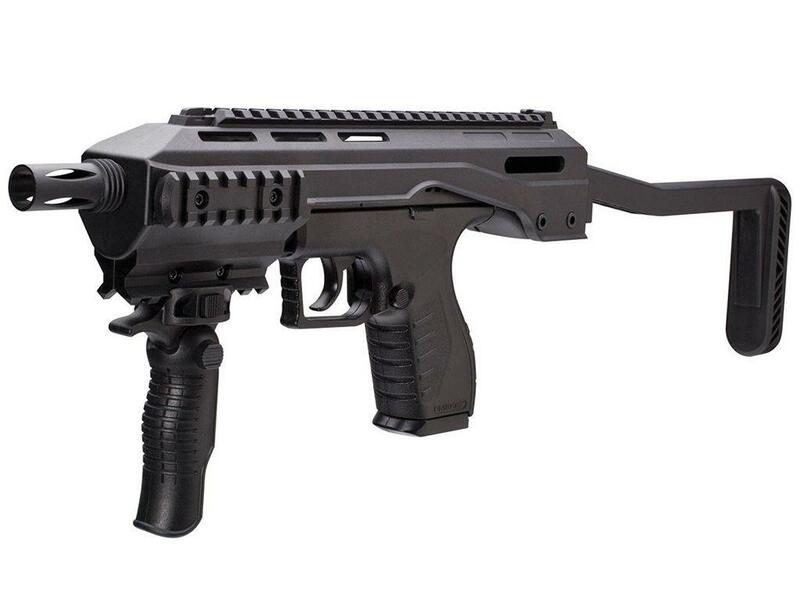 Build Quality: The Umarex XBG and Umarex TDP 45 internally share many of the same components and I am assuming they both use many of the same internal parts, they do have much different plastics shells which you will find to have all mechanical parts to be moulded into with the exception of the Trigger, safety and magazine release. Again, most of the build materials are plastic with the exception of some internal parts, the magazines, the barrels and the triggers. Realism: The Umarex XBG and TDP 45 CO2 BB Pistols are not actual replicas of any specific gun in production, both are styled after modern mid-sized semi auto pistols but it is hard to pinpoint any one specific gun for either of them, I am sure you will give me your feedback on this. They do look like real guns but their function is based more around what the easiest way is to build a BB gun rather than how can we make this gun function as close to a real gun as possible. That said they are very efficient and simple in operation which should make them very reliable. Very low cost, around $40 bucks. Nice combination of shots per CO2 and FPS (accuracy to be determined). Universal metal stick magazine works in a bunch of guns, can mix and match. CO2 tabs are fairly well hidden. Construction screws are less obvious (Smaller). Tried and true design that works and is reliable. I like the SA177 style CO2 hatch. Not a lot of actual working parts except for the trigger, magazine release and magazine. All else is molded in to the plastic. Double action triggers are a bit long and heavy. No adjustable sights so hopefully yours shoots straight? its the xbg with fore grip, shoulder stock, and rails all around for dot sight/flash light/laser. 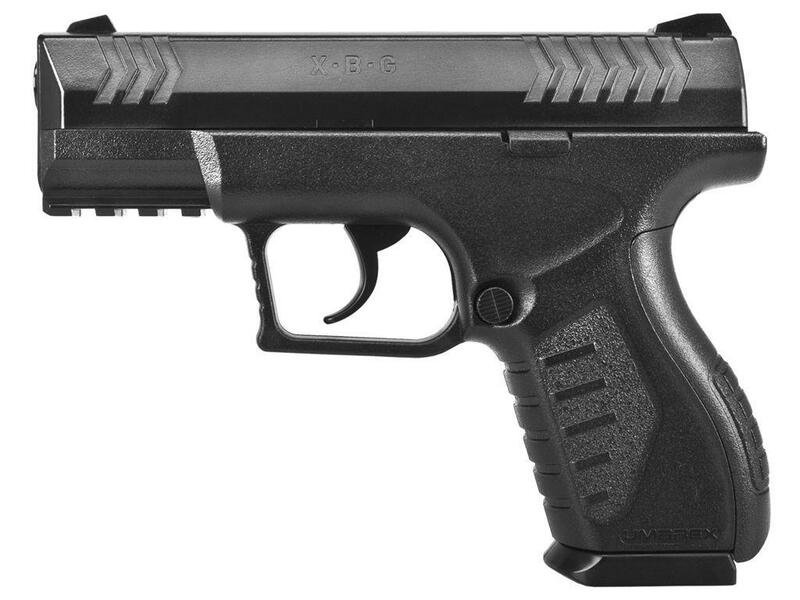 xbg is a great pistol that shoot hard, all the accessory included make this a very nice package. Highly recommended.